A $50 HeartView Scan May Save Your Life. Call 800-313-0725 To Schedule Yours Now! 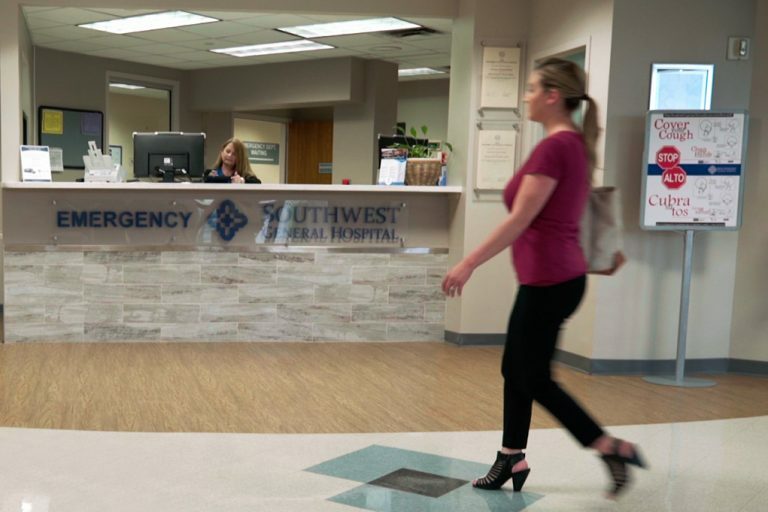 At Southwest General Hospital, we strive to serve the needs of our communities by delivering the highest quality of care with compassion and respect. We dedicate ourselves to the communities we serve to deliver affordable health care to all and being responsible partners. Southwest General Hospital provides free, convenient, online self-scheduling for patients who need to visit our emergency room. This service allows patients to check in online for estimated treatment times and wait at home until it's your turn.